KS1 Wake Up Shake Up City Champions! 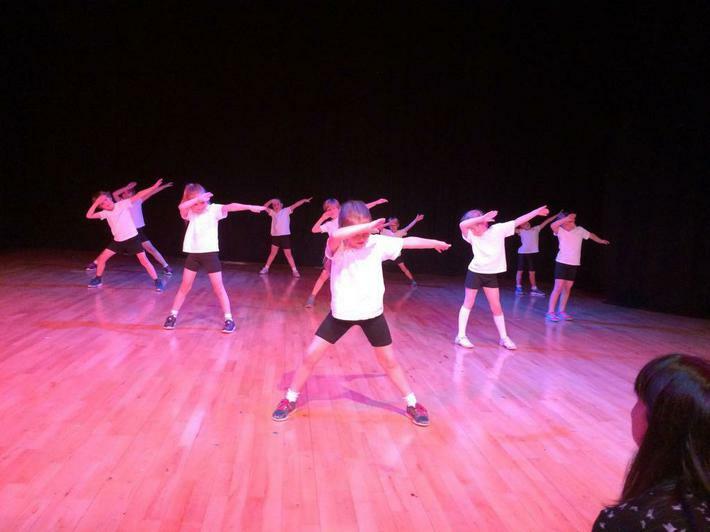 On Tuesday 11th July we performed in the City Wake Up Shake Up Final at Ralph Thoresby against four other KS1 teams from other schools within the city and we won! A huge well done to the children who performed with such enthusiasm and energy. We are incredibly proud of you all. On a hot Friday before we broke up for half-term the Girls Football Team played in the Leeds Champions Playoffs in a bid to become the Champions of Leeds. The first game was a difficult draw against reigning champions, Alwoodley. In a tightly contested game with chances at both ends, Meanwood battled hard and managed a 1-0 victory, with a great goal from Tilda Beckley. This meant we went through to the final against Allerton. Again it was another gruelling game in the beating heat. Meanwood defended well throughout, with stand out performances by centre back supreme Tilda Denison and tireless running from Lily-Maya Hooper and Phoebe Marlow. Eventually Meanwood managed a breakaway and the chance was converted by Tilda Beckley. The last few minutes were very tense but Meanwood managed to hold on and become the 2017 Girls Football Champions of Leeds. 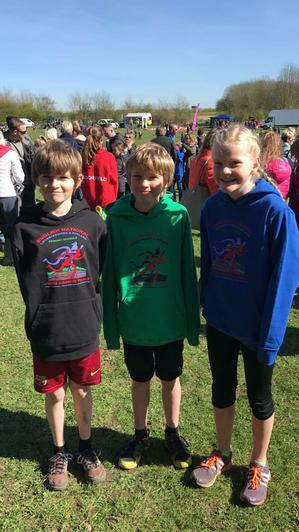 A massive well done to Leon Jones, Tilda Beckley and Alfie Jones who ran on Saturday 25th March at Prestwold Hall, Leicester in the prestigious Primary National Cross Country Race running for their county West Yorkshire. Some of the course the children ran was used by the GB athletes at the World Cross Country Trials two weeks ago! We were all supporting you madly and thrilled with your results which were inspirational. Amazingly West Yorkshire were awarded silver for the Year 6 boys and we also won bronze for the Year 5 boys - a truly remarkable achievement for the Jones brothers who are now medalists! Leon, Tilda and Alfie met GB 800m Champion Jenny Meadows who was presenting the awards and signing autographs. For more information and photos of these incredible children, please click on Spring 2 below. Cross Country National Finals HERE WE COME! We are very proud to announce we have three runners who qualified for the cross country NATIONAL finals on Saturday 25th March. This is an amazing achievement for Leon Jones (Y5), Aflie Jones (Y6) and Matilda Beckley (Y6). Huge congratulations to you all, you thoroughly deserve this and we wish you lots of luck in the nationals. 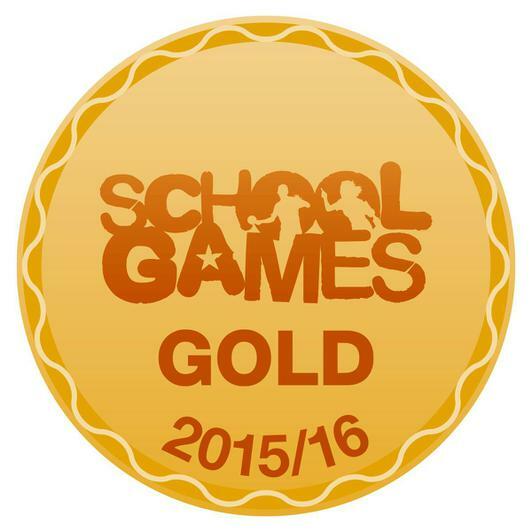 We are pleased to announce we have achieved Gold Mark for the second year running! This is a government led awards scheme awarded to schools for their commitment to the development of competitions across their school and into the community. This is a fantastic award that we are very proud to receive acknowledging all we do as a school for our pupils to experience a wide range of competitive sports. Our main aim is to provide these opportunities so our pupils have a real love for physical activity and sport which in turn helps them to develop a better understanding of how to live a healthy lifestyle. Our Sports Captains and Leaders are a group of Year 6 young people who meet regularly and join together to organise, co-ordinate and advertise school sport, competitions and playtime activities in our school. 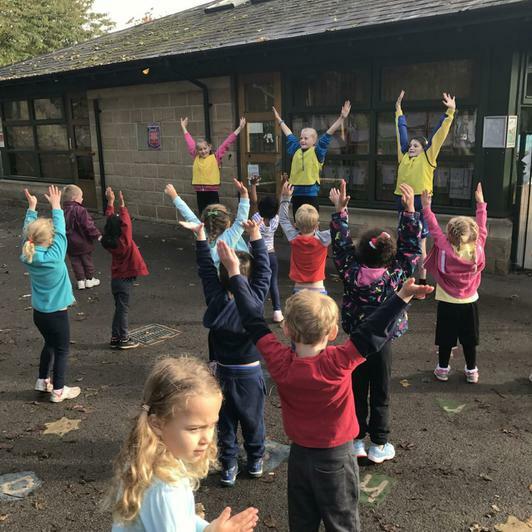 So far our Sports Leaders have led a very successful morning for Reception and KS1 children which took place on Thursday 20th October (see Autumn 1 below for more information and photographs). The Y6 girls planned a Wake Up Shake Up routine and the Y6 boys planned multi - skills games. All the children involved thoroughly enjoyed themselves. For Heart Day, our Sports Leaders ran health related exercise classes for the whole school, really getting ever child's heart beating! The Sports Leaders are now looking forward to planning their next event for KS2.